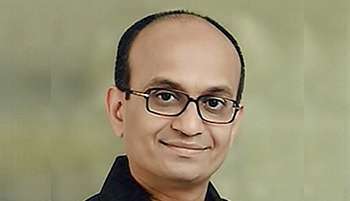 AnnushRamasamy, President & Managing Director of SKG (Sri KumaraGuru Mill Ltd.) is a Mechanical Engineering graduate from PSG College of Technology, Coimbatore, India and additionally holds a Masters degree in Business Administration (Strategy and Manufacturing Management) from RIT, Rochester, NY. SKG is part of the KG Group, which has its core business in the textiles industry and has also private equity investments in technology, infrastructure and real estate development. The group carries out its social responsibilities largely through the educational and healthcare institutions in its charitable trust. Annush proactively leads the group by focusing on new product and new business development. He has a passion for new technology and advanced solutions. His vision for the company is built around empowering the proud employees of the SKG family, providing ample opportunities for the talented and well deserving, and creating a culture for becoming “An Employer of Choice”. Annush is an active member of the Entrepreneurs Organization, Young Indians, TiE and The Chennai Angels. He has represented these organizations in various national and international forums. He was on the Global Board of the Entrepreneurs Organization where he was the head of GSEA sub-committee. He is currently the NationalVice Chair for the CII’s Young Indians. During time away from work, he enjoys reading, traveling, listening to classical music (Indian and Western), automobile racing and skydiving. He is also a foodie and loves meeting people. Annush is happily married to ShriVyshnavi. They are blessed with two daughters, Shambavi and Ananya.